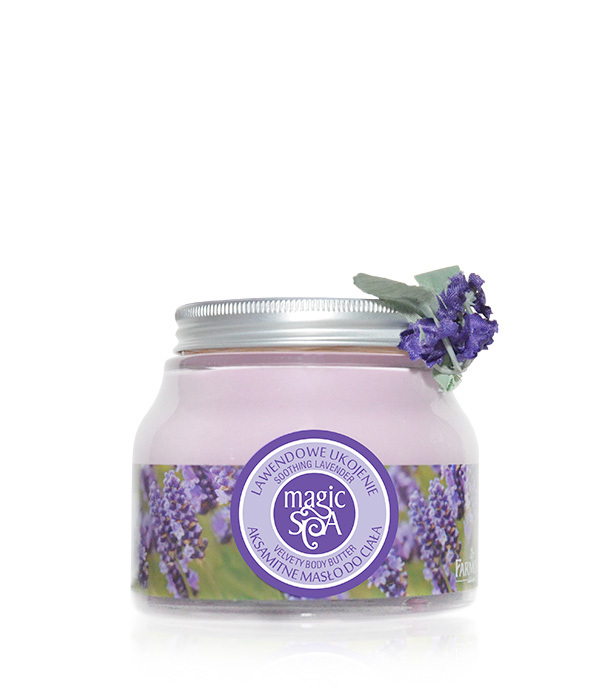 The Velvety Body Butter with natural lavender oil caresses the body with its velvety consistency, soothes the senses with pleasant notes of lavender from Provence. 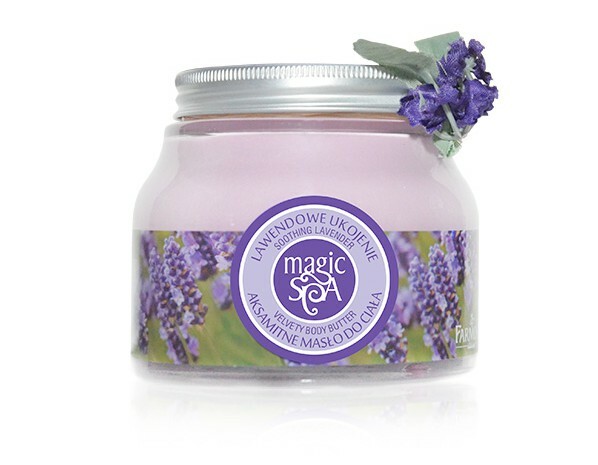 It relaxes, regenerates, intensely nourishes and gently oils the skin. It leaves a long-lasting sensual fragrance on the skin. Use 1-2 times a day. Perfect for dry and normal skin. Aqua (Water), Butyrospermum Parkii (Shea) Butter, Paraffinum Liquidum (Mineral Oil), Glycerin, Ethylhexyl Stearate, Ceteareth-20, Cetearyl Alcohol, Glyceryl Stearate, Sodium Acrylate/Sodium Acryloyldimethyltaurate Copolymer, Isohexadecane, Polysorbate 80, Cyclopentasiloxane, Cyclohexasiloxane, Cera Alba (Beeswax), Dimethicone, Tocopheryl Acetate, Lavandula Angustifolia (Lavender) Oil, Xanthan Gum, Disodium EDTA, Phenoxyethanol, Ethylhexylglycerin, 2-Bromo-2-Nitropropane-1,3-Diol, BHA, Parfum (Fragrance), Linalool, Limonene, Coumarin, Butylphenyl Methylpropional, Alpha-Isomethyl Ionone, Hydroxyisohexyl 3-Cyclohexene Carboxaldehyde, CI 42090, CI 16255.